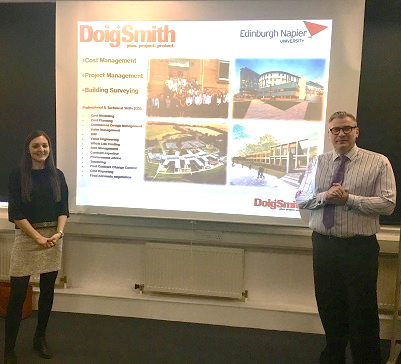 Doig+Smith have recently organised members of staff from the Edinburgh Office to deliver a set of four lectures to 3rd year students at Edinburgh Napier University. Dean Carrick and Marcella Cooney kick-started these with the delivery of their first lecture on the subject of Contract Administration and Practice. We hope the students benefited from the information provided and are looking forward to the three more lectures to follow.